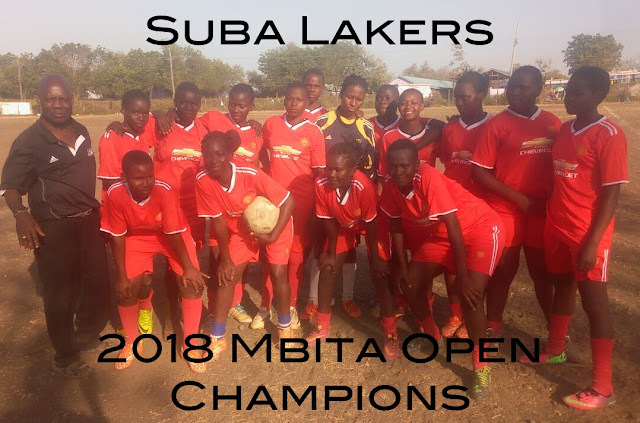 Congratulations to the Suba Lakers who retained the trophy the 2018 Mbita Open Tournament! A few of our long-time Suba Lakers were in the area able to play in the tournament. Including Alicent, Lencer, Teresa and Cisca. We also have some newly recruited girls in primary school. 4 from Kisui, 2 from Nyamanga and 2 from Mbita Primary. With combination of the experienced talent and wisdom of our older girls, along with some new energy and young talent, the Suba Lakers were unbeatable. In 4 matches they never allowed a single goal! 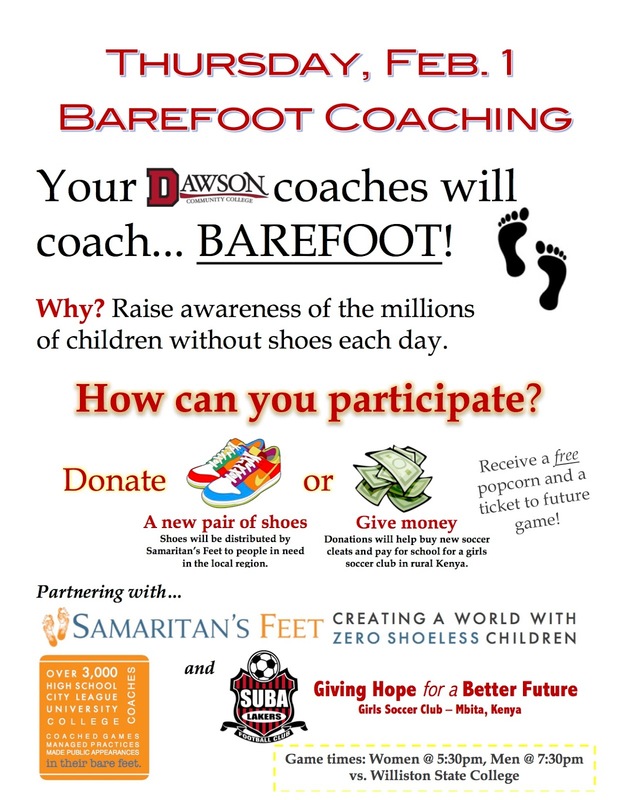 On Barefoot Coaching Night at the Dawson Community College (Glendive, Montana) basketball games on Feb 1st, 24 pairs of new shoes were donated and will be distributed to those in need within the Montana/Dakotas Region by Samaritan's Feet International. Over $750 was donated to the Suba Lakers Football Club. These funds will be used the money to buy ~10 pairs of soccer cleats and pay for an entire year of high school education for one girl. 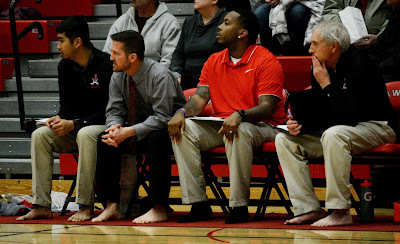 The coaching staffs for Williston State College and DCC participated in the event by taking off their shoes and coaching barefoot to raise awareness for the millions of people throughout the world who don't have proper footwear. 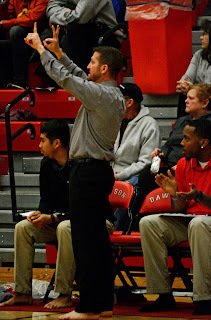 The Lady Bucs and the Bucs both won their games this year, as well as at last year's Barefoot Coaching Game. Perhaps the coaches should go barefoot more often!? Thank you Glendive, Montana and Dawson Community College for your partnership! The Suba Lakers Co-Founder, Joe Peterson, is truly a coach to the core. After he left his home in Kenya of 11 years, he returned to the U.S. and is now the Head Men's Basketball Coach at Dawson Community College (NJCAA) in Glendive, MT. 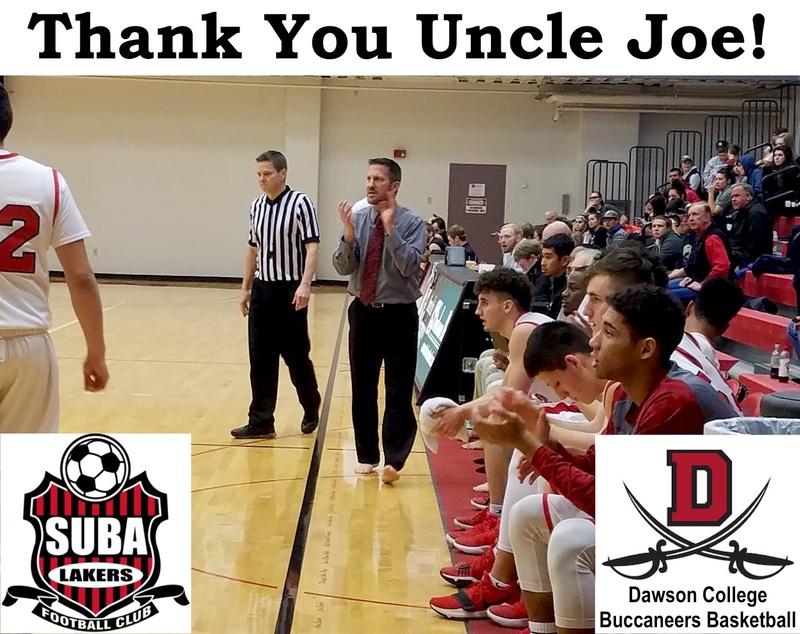 We are proud to see him continue to create a legacy in the world of coaching, training up young men and being a great example and mentor in their lives; just like he was for the Suba Laker girls for many years. We are honored he will be participating in BAREFOOT COACHING to raise awareness of the millions of children without shoes around the world. This event is in collaboration with Samaritan's Feet which distributes shoes locally and globally to those in need. All donations received during this event will be used to help purchase new cleats for the Club and also assist our girls with their cost of their high school education. If you can't attend the event in person, you can provide a donation online through Hands and Feet, Inc.
Soccer cleats in Kenya, are a rare gift. If a school or club can afford cleats, they often go to the boys first. Girls receive hand-me-downs which are often in terrible condition and the wrong size. Most girls throughout rural Kenya play soccer in their bare feet. This is extremely dangerous when pitches are covered in thorns, rocks, glass and other debris. 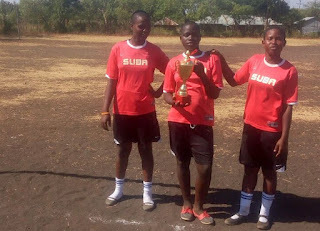 Shortly after the Suba Lakers was formed, the Club saw the need for the girls to learn to wear cleats; called "boots" in Kenya. It was a rough transition as the girls were used to and comfortable in their bare feet. Yet, over time, the girls themselves learned the advantage and benefits of wearing cleats. Today, the girls can't imagine playing without them! School in Kenya is not free. The average cost of high school is $400/year, for 1 student. The average income for families in the Mbita area is $800/year. Hence, many families struggle to send all their children to high school. 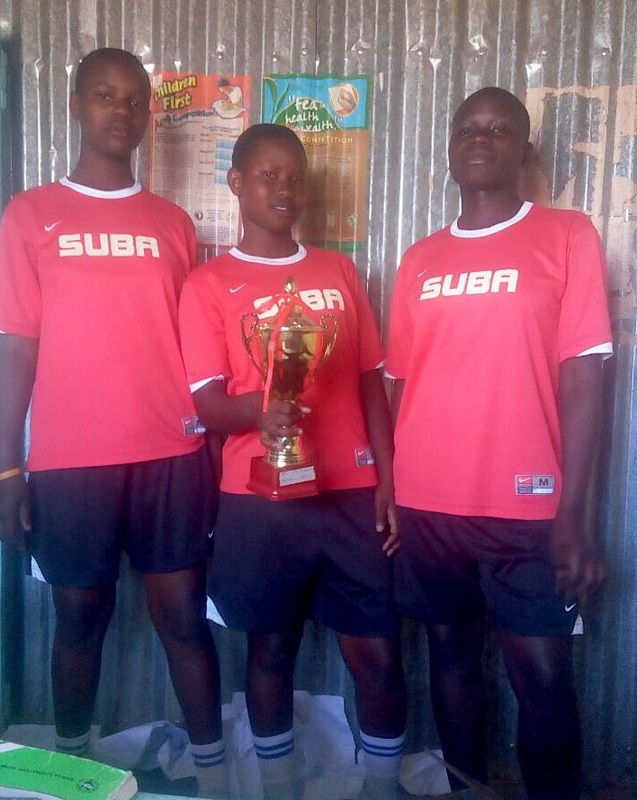 The Suba Lakers officials believe that all girls not only deserve to complete their high school education but that it significantly impacts their future possibilities in life. In Homa Bay County, only 16% of girls finish high school (2013 stats). For the Suba Lakers, our dream is to see each girl finish their high school education. 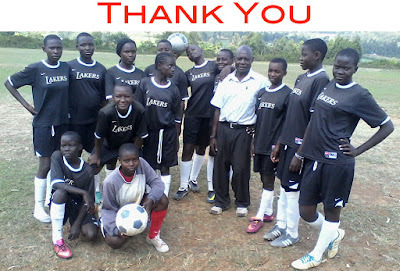 Through the support of sponsors and donors, the Club partners with the girls' families to help pay for their education. Our Sponsor a Girl program permits individuals (or families) to partner with a specific girl and help her complete this dream. Thank you Uncle Joe (or Coach Pete as they call you in the USA), for continuing to partner with the Suba Lakers and be a great voice for children and youth in Kenya! We love you! 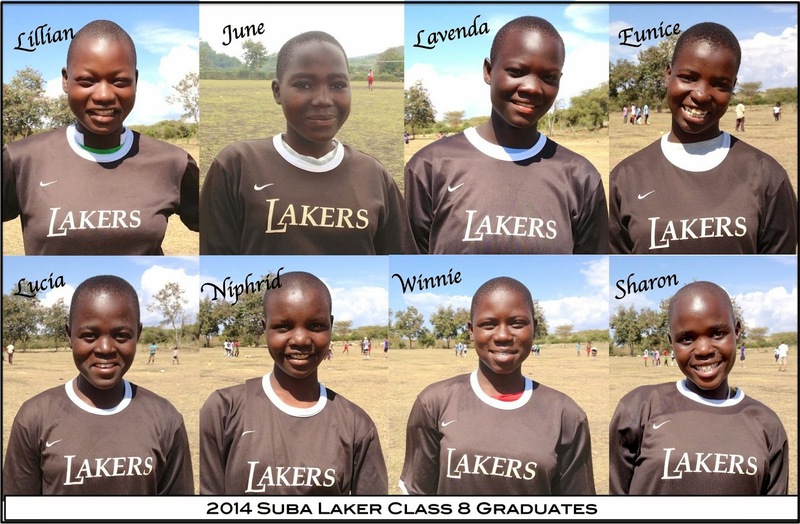 In 2014, eight of our Suba Laker girls achieved a great milestone by finishing 8th grade. In a region where less than 50% of girls finish primary school, this is a huge accomplishment! Now, 4 years later, they are starting their final year of secondary school. And, they are working towards overcoming even larger odds. In the area around Mbita, less than 20% of girls complete high school!! All, except 1, of these girls are still in school! Each of these girls have overcome many obstacles and challenges to reach this far. Please join us in praying for these girls as they start on their final, and toughest, year of secondary school! Thank you for your partnership in 2017! The heart behind the mission of Suba Lakers is to ensure that girls are given a chance to continue their education in hopes of having a better future. This year, the Club is supporting 9 of our Suba Lakers in Secondary School; Eunice, June, Lavenda, Lencer, Niphrid, Owiti, Sharon, Siska and Winnie. In Kenya, the new school year began on January 3rd. June was elected Head Girl for her secondary school for the 2018 year. 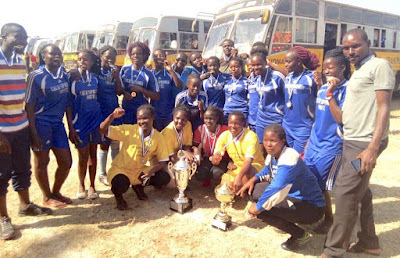 Many of these girls receive a tuition waiver (full or partial) for being good footballers. However, even for those who receive a tuition waiver, there are still many costs involved with secondary school. The Suba Lakers Club partners with the parents/guardians to assist the girls with some of these costs, including school supplies, uniforms, transportation, exam fees and personal items. In November 2017, one of our girls graduated from Secondary School. A big Congrats to Jacinter! The idea of attending and finishing secondary school was only a dream a few years ago for her. We are proud of her. A number of our Suba Laker girls are in college or hoping to start soon. 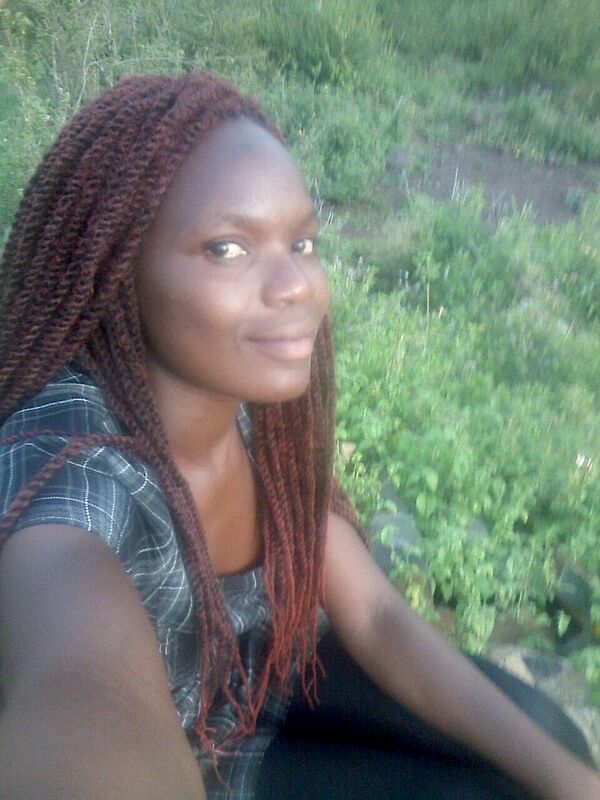 Caren has started her 3rd and final year at Mawego Technical Institute working towards her Diploma in Agriculture. She has been the captain of the football team and she will do an internship with Sony Sugar later this year. Damaris is in her 3rd year at the University of Eldoret working on her Bachelor’s Degree in Education. Alicent started at Kenya Medical Training College (KMTC) pursuing a 3-year diploma in Nutrition and Dietetics. 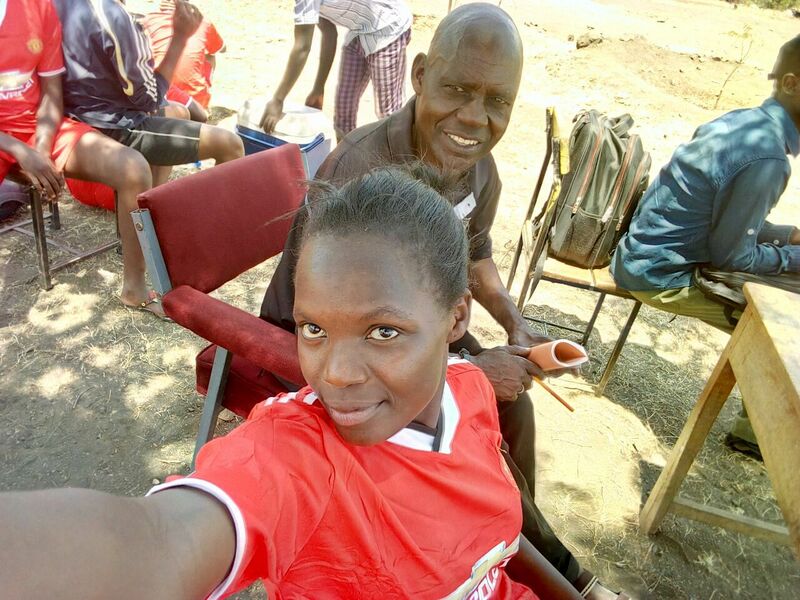 She helped lead her KMTC-Homa Bay football team to the Medical Colleges' national football tournament...and her team WON the Championship with Alicent being the leading scorer. 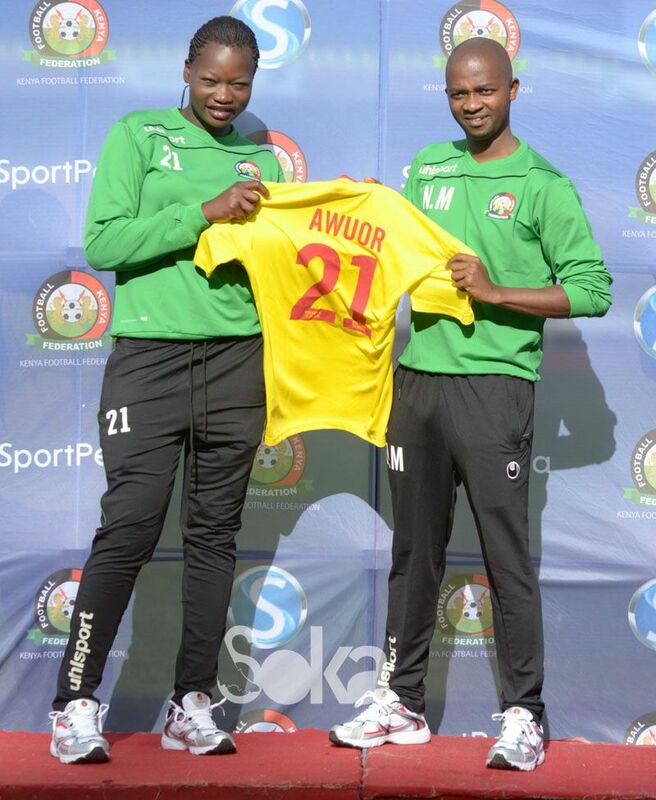 Another exiting accomplishment from the past year is that Suba Laker Lillian Awour is now playing on the Kenyan National Team, the Harambee Startlets. 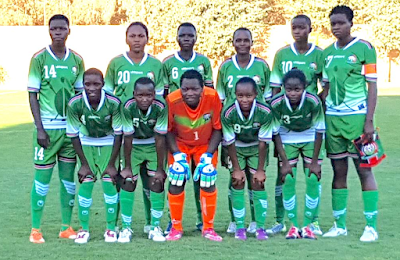 She started playing with the team in late 2016 and since then she has traveled to Botswana, Ethiopia, Uganda, Ghana, Morocco, Cameroon, and Jordan! She is the primary goal keeper for the Under 20 National Team and currently a back-up keeper for the Women’s National team. As a member of the national team she has received enough funds to not only pay for her own education but to also build her mother a house!!! Your financial partnership is making a difference in the lives of all of these girls. Beyond the educational component, the goal of the Suba Lakers Club is to provide opportunities for girls to develop their God-given talent in football. In 2017, the club participated in a few tournaments. They took home the Championship Trophy at the Mfangano HIV/AIDS Awareness Tournament! They participated in a number of other tournaments and received new uniforms, balls and trophies. 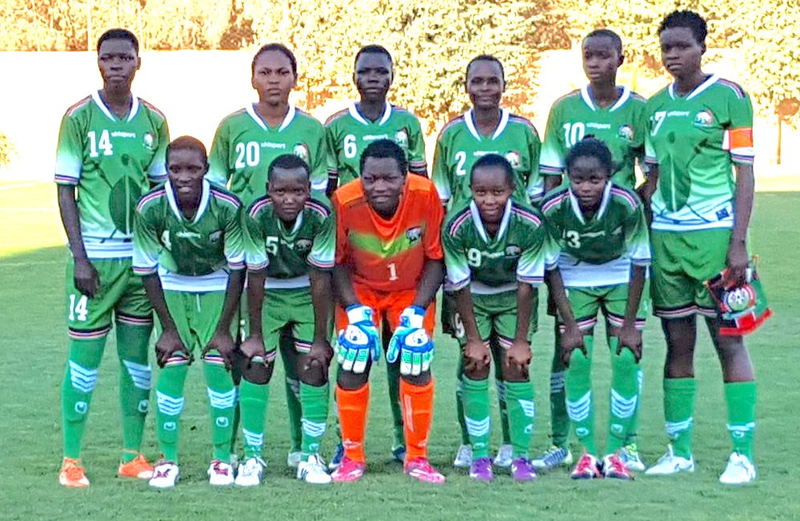 We are glad to receive reports of these girls continuing with their education and thriving on the football pitch. We remain committed to ensuring the funds are available for these girls to finish their secondary school education and providing support to a select few in college/university. We are grateful for your partnership. Thank you for partnering with the Suba Lakers Football Club. You are helping to bring HOPE to girls, for this life and for eternity! At the age of 11, you could already see that she was special. Not only did she have a natural talent in football, she was bright and full of wisdom. Growing up in a rural village on the island of Rusinga, she recognized that her school was not giving her an opportunity to succeed since many days teachers didn't show up and there was little actual teaching ever done. She was concerned about her future and she wanted to do something about it. She approached the Suba Laker officials about being transferred to a different school. While this was never done for another club member, it was evident to the officials that her case was unique. In order for her to have a chance at living out the mission of the Suba Lakers, she would need a fresh start to have hope for a better future. It's been her positive attitude and strong work ethic that has gotten her through many challenges in life. In her 2nd year of high school, as a starting player of her school football team, she tore her ACL in the Lake Region Football Championships. But before she went out of the game, she scored a critical goal which helped her team win the Championship and move on to the National Tournament. 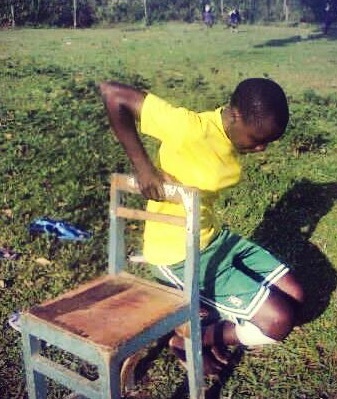 After receiving reconstruction surgery at AIC CURE International Hospital (with many thanks to the Suba Lakers supporters who helped cover the costs), she was dedicated to her rehab and a full recovery. She had no Physical Therapy clinic to attend each week. She had no parents forcing her to do her exercises. Yet, with the support of her coach, she remained focused and gained back full strength. By her final year of high school, she was back in full force, as Captain of the football team, and leading striker. There are few individuals who have the dedication, drive and perseverance like Alicent. And, who can do it with a smile! After graduating high school in 2015, she was determined to continue with her education. Again, recognizing that, as an orphaned child, her family did not have the means to support additional education, she humbly, yet boldly approached the Suba Laker officials. She shared about her desire to enter the medical field; which is a competitive field in Kenya. Without hesitation, the officials agreed to assist her with college as they knew that she is someone worth investing in. In March 2017, she started college at the Kenya Medical Training Institute in Homa Bay. She is studying a 3-year program in Nutrition and Dietetics. While she was hopeful to get into nursing, even though it's extremely competitive, she is no stranger to making the most out of every opportunity. So she is thankful for this chance to study within the nursing/medical field. With a passion for football, you can't keep her off the pitch. 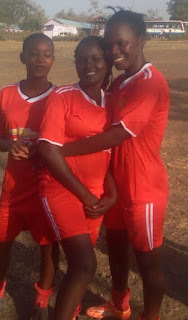 She quickly joined the KMTC women's football team. 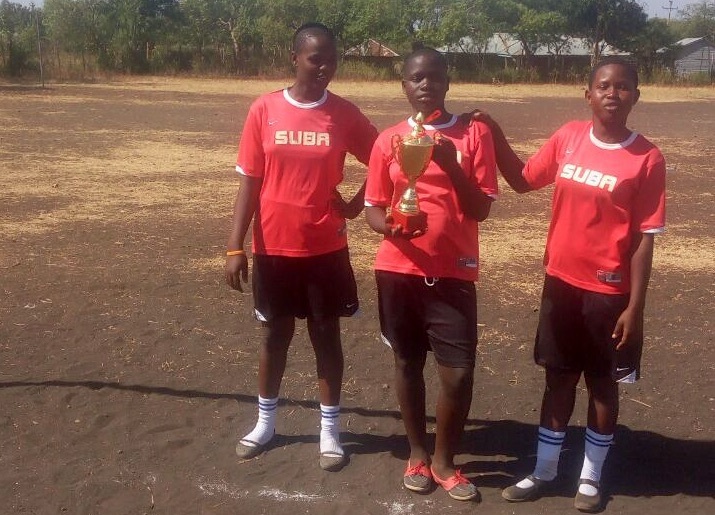 In August, the team participated in the Kenya Medical Colleges Football Tournament in Mombasa. Alicent lead the the team with goals to help them win the Championship! It was the school's first time ever to win the national championship! As the Suba Lakers Football Club, we are dedicated to ensuring Alicent has the funds for her college education. The costs are approximately $1500/year. If you would like to contribute toward her education and her future, please give your tax-deductive donation online. Suba Laker Lilian Awour was invited to join the Kenya National Football Team in late 2016. Since joining the team, she has traveled all over Africa and the region; including: Botswana, Ethiopia, Uganda, Ghana, Morocco, Cameroon, and Jordan! She is the primary goal keeper for the Under 20 National Team and currently a back-up keeper for the Women’s National team. As a member of the national team she has received enough funds to not only pay for her own education but to also build her mother a house! "Going to Africa Cup of Nations held in Cameroon with the senior team and seeing the best players in the world! That motivated me so much." 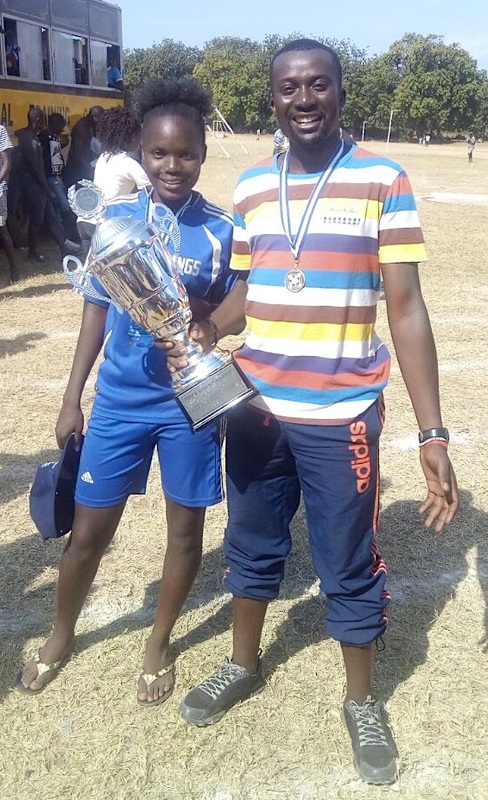 Lilian is gifted with a natural talent, along with good size for a goal keeper. But most of all, it's her willingness to work hard on the field. She has overcome many challenges to get to this point in life. Even with all the fame and hype around being a part of the national women's football team, she has not forgotten where she came from. She recognizes that it all started with the Suba Lakers and she is grateful to be a part of the Suba Laker family. We are so proud of her. We hope that her example of perseverance will inspire other young girls to have hope for a better future!